Fresh Stops: Matthew Clarke up next! 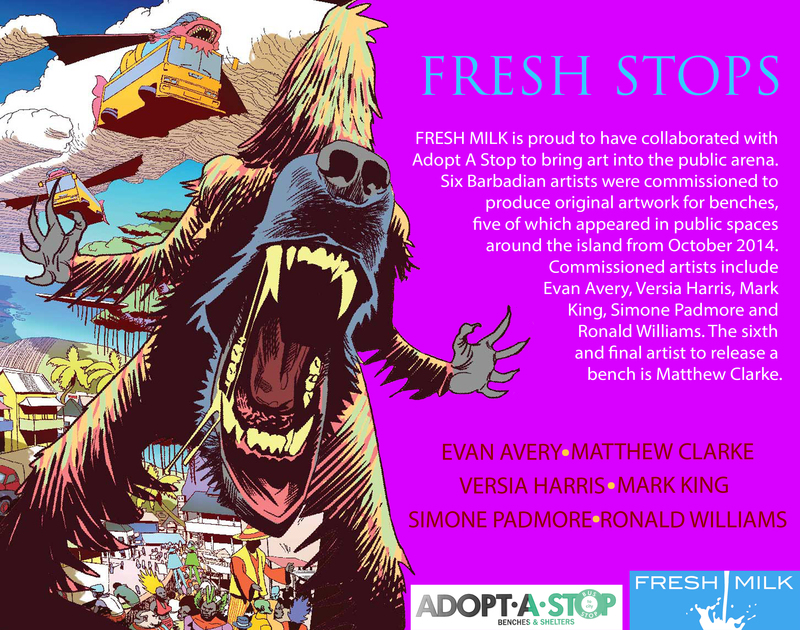 Fresh Milk and Adopt A Stop conclude the first edition of the Fresh Stops collaborative project with Matthew Clarke‘s piece ‘Hardears Universe’. In an attempt to bring art into the public space, six artists were commissioned to produce original artwork for benches that have been appearing at varied locations around the island. ‘Hardears Universe’ will soon be revealed at a location near you. The other participating artists included Evan Avery, Versia Harris, Mark King, Simone Padmore and Ronald Williams. This project creates visibility for the work of emerging creatives, allowing the public to encounter and interact with their pieces in everyday life, generating interest and inviting dialogue about their practices. Hardears Universe showcases a collection of characters from the ‘Hardears World’ featured in my graphic novels. It is a place of fantasy populated by characters from Caribbean folklore. Matthew Clarke‘s passion for art started at a young age, and he began participating in the National Independence Festival of Creative Arts (NIFCA) while attending St. Michael’s School. Through the Festival, he achieved bronze, silver, gold and incentive awards, and went on to be the recipient of the Prime Minster’s Scholarship for Visual Art in 2003. 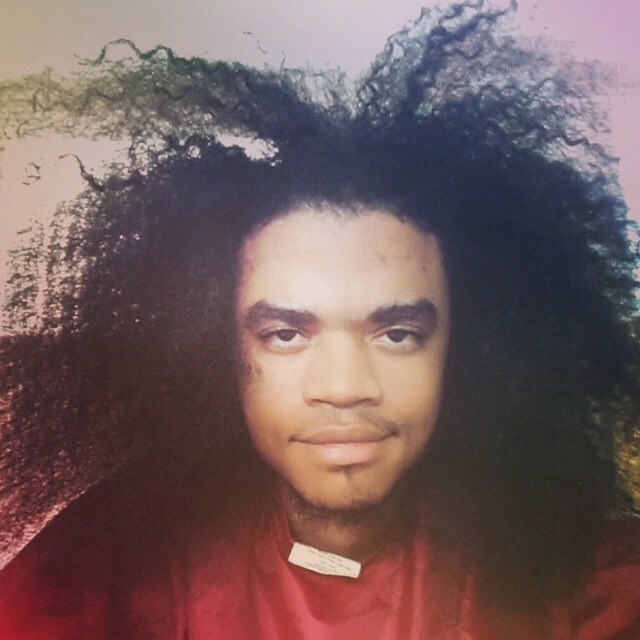 Clarke completed his Associate Degree in Visual Art at the Barbados Community College (BCC) which earned him a Barbados Exhibition for tertiary studies, and in 2009 he obtained a Bachelor Degree with honours in Graphic Design at the same institution. He has freelanced for various design agencies (Virgo, 809, RED Advertising, G and A Communication, RCA) and worked at the Nation Publishing Company on the Attitude Magazine, creating its logo and design. He has also worked at Banks Holdings Limited (BHL), where he was appointed Internal Web Designer in charge of the Banks Beer website. In addition to working on independent projects, he has been working as a graphic designer at RED Advertising and PR Agency as of 2011, where he is currently Deputy Creative Director. He is the co-owner and principle of a Caribbean comic company called Beyond Publishing, which has published over 22 books sold digitally and in print, both locally and internationally.